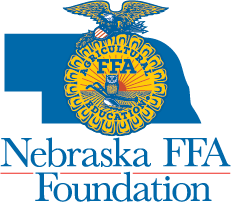 (LINCOLN) – The Nebraska FFA Foundation presented Mr. Kevin Anderson, Lyons-Decatur N.E. FFA advisor, with the 2019 Gary Scharf Helping Hand Award at the Nebraska FFA Convention on Thursday, April 4. The Gary Scharf Helping Hand Award recognizes a Nebraska agriculture teacher or FFA advisor for what he or she has done in helping others, specifically in the school and community outside of agriculture education and FFA. Anderson was announced as the award winner during the Nebraska FFA State Convention in Lincoln. He received a plaque and $500 cash award from the Nebraska FFA Foundation.